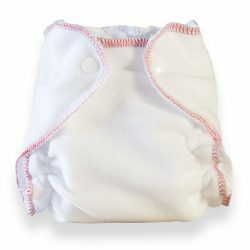 Save money by purchasing a 10 pack of out cotton fitted service diaper. Get 10 diapers for the price of 8. Our cotton fitted service diaper is Diaper Service quality cloth diaper designed to withstand the rigors of industrial washing. This makes it a great chose for home washing as it is easy to clean, and will last a long time. 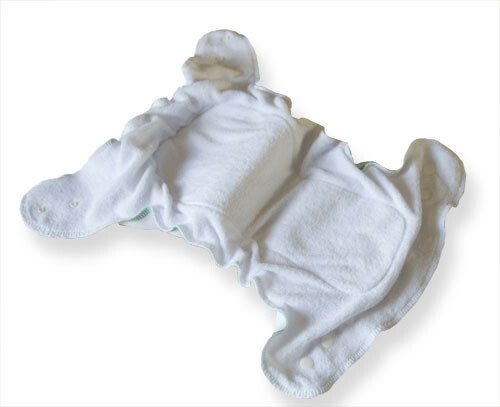 The Diaper Service Fitted Diaper is constructed of an outer layer of polar fleece and an inner layer of white stretch terry. The inner absorbent layer is made from a contoured cotton/rayon soaker pad. It is super absorbent and very durable. 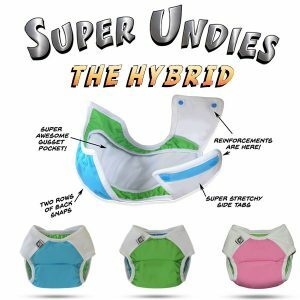 With elasticized legs, and back, this diaper is sure to be a good fit and keep messes inside. Made in Canada. Tidy Tushees can pre the diapers for you at no charge upon request.